Recognizing that they cannot remain dependent on importing oil at the increasing rate they presently are and recognizing that, even aside from the global desire to reduce carbon emissions to slow global warming they need to reduce emissions to stop choking their cities, China is moving with incredible speed toward zero emission driving. Q. What steps is China taking towards introducing electric cars in a serious way? China has figured out that electric cars are the future, and has put the most aggressive policy in place that aims at triple-play. As they do so they recognize an opportunity amidst the threat. China never developed a globally competitive automobile industry. However, the zero emission car – the electric car – is really more of a really big consumer electronic device — something China has excelled at producing for export. And the other major component for electric cars – the batteries – is another industry in which China is in a global leadership position. So their plan is to leapfrog American, European and Japanese legacy car makers by becoming the leaders in all-electric cars — first for their domestic market, and then for export. Q. How significant is this move? China is the tipping point on electric cars. China is what’s going to make this revolution happen faster than anyone thinks. I believe they will tip the world market toward electric cars before 2015. China is adding new cars at a ferocious pace, even in this recessionary environment. Every day a net new 3,000 cars hit the roads of the city of Beijing alone! Just as they are adding cars much faster than the United States ever did, they are realizing the detrimental impact of oil dependence on economy, environment and security much faster as well — and they are responding. Q. How is Better Place going about creating the infrastructure needed in China to support EVs? 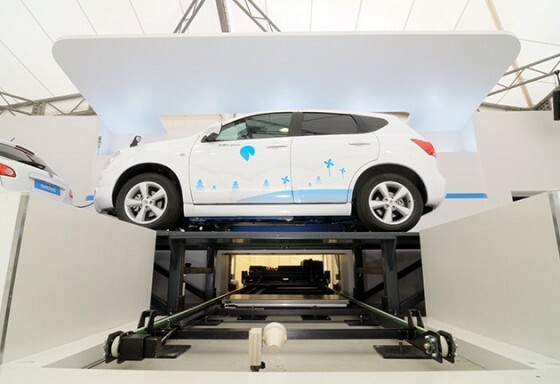 Better Place, which is already deploying charge infrastructure to accommodate mass adoption of electric cars in Israel, has had conversations with various levels of government and industry in China about cooperating to achieve their objectives in zero emission transportation. Better Place builds infrastructure that allows drives to charge their cars where they generally park them — and to switch out the battery for a full one when on an extended journey. Q. Do you think this will just be another consumer fad in China’s large cities, or do you think it is something that could be taken seriously in the provinces too? The important thing is that China has made a decision for electrification. The [Chinese] government has made a clear policy, and I predict that before this decade is out, you won’t be able to sell a gas car in China. Q. What’s the significance of the MOU signed between Better Place and Cherry Automobile Co. earlier this year? Better Place is pleased to be working with China’s largest private automaker, Chery, to develop battery-switchable all-electric cars for the Chinese market. Between the strong public policy encouraging deployment of EVs in China, and Chery’s resources and desire to do the same, we are very encouraged about the prospects for zero-emission transportation in China. Q. Can you tell us about the Tokyo Electric Taxi Project? Better Place opened the world’s first commercial battery switch station this past April in Tokyo, serving three taxicabs in continuous use on that city’s streets. Since that time, the cabs have picked up hundreds of fares, traveled thousands of miles, and switched batteries several time daily without the slightest flaw. The program has captured imaginations around the world and cities from everywhere have encouraged us to do the same for them. We do think this program proves the viability of making high-volume vehicles zero-emission through the battery-switch approach. Q. Taxis represent only 2 percent of all passenger vehicles in Tokyo, so what difference will this really make? Although just two percent of the cars in Tokyo, taxis represent 20 percent of the oil use and emissions. Similarly, focusing on the high-volume segments around the world is the fastest path to reducing reliance on oil and reducing emissions. Q. How do you see the development of the EV network in Asia over the next 5 years?